One of the most relevant new features is the Duty recorder, which basically lets you save replays of your instanced dungeons and raids, including various playback options. New gear can be obtained with the new tomestones of Mendacity while new crafting recipes also provide more armor and weapons. Square Enix released a sizable batch of screenshots and information about the upcoming update, visit the official website here. Final Fantasy XIV's 4.2 update introduces a new story scenario titled Rise of a New Sun, along with a new side quest called The Jade Stoa. The most intriguing bit of footage, however, comes at the very end of the trailer, as the video fades to black, the face of Final Fantasy VI's main antagonist, Kefka, slowly appears, followed by his distinctive laugh. 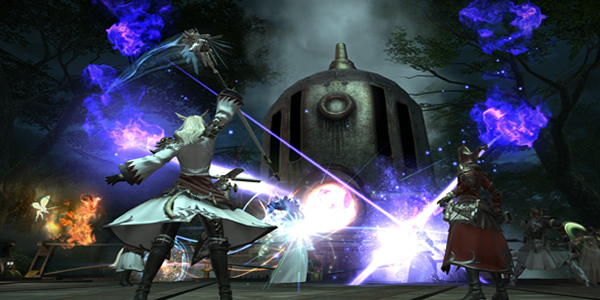 The Rise of a New Sun update rolls out for Final Fantasy XIV on PS4 and PC in a little over a week, players are now trying their best to get Final Fantasy XIV Gil.